A new initiative created by Gradient Flat Roofing minimises the quantity of waste created at every stage of the design and installation process, while helping to limit the resulting CO2 emissions. It starts at the design stage where the insulation boards are set out from the roof’s high points. This means that square cutting is usually only required on the thinnest boards which minimises the volume of any off-cuts. 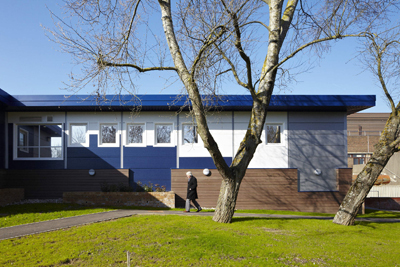 Gradient also advises customers on waste reduction methods such the use of half-boards, flat gutters, infills and the potential to re-use large off-cuts. The system also includes the use of accurate, factory pre-cut 45º mitres, which minimise any on-site cutting required (again reducing the amount of site waste) and also ensure a very accurate fit for the boards. Non-standard factory-cut mitres can also be provided, which cuts site waste even further. When packing, Gradient’s ensures that the insulation boards are made up into the smallest load possible, to reduce transport requirements. 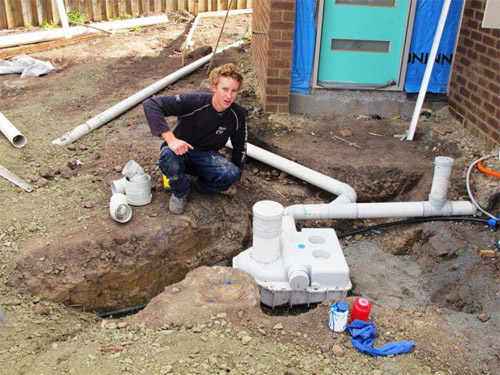 “We can even work with contractors to complete a waste audit which specifies the exact quantity of product supplied to site and identifies the likely volume of waste they will need to remove,” Richard said. Picture: A new single-layer tapered roofing insulation system designed by Gradient has formed part of a major package of works to convert Riber Castle into a block of 26 luxury apartments. 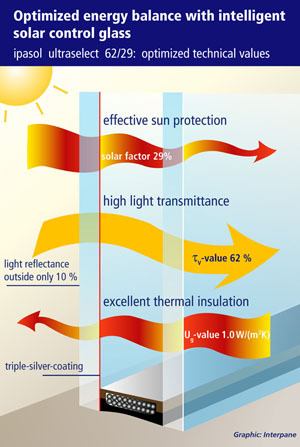 Light transmittance (tV) 62 %, solar factor 29 %, a selectivity that is higher than factor 2 – these excellent technical values relate to the new solar control glass ipasol ultraselect 62/29 by Interpane (Laufenfoerde, Germany). A newly developed triple silver coating on the inside surface of the outer pane has made this technological leap possible. The glazing reduces the summer cooling load while letting a maximum amount of natural daylight into the room. This saves energy, is good for the environment, and expands the creative leeway for architects and facade builders. There is also a positive side effect: the low outside reflection (10 %), which reduces undesired reflection. This leads to excellent colour-neutral appearance and vision, even at acute angles. During cool outside temperatures, the especially low Ug-value of 1.0 W/(m2K), as double glazing, effectively prevents heat loss. Workplace equipment provider Slingsby is reporting record sales of its outdoor furniture that is made using recycled materials. The company supplies more than 35,000 workplace products across all industries and in recent years has significantly increased the number of products that are made from recycled materials. Lee Wright, marketing director at Slingsby, said: “More organisations than ever before are specifically asking for products that are made from materials that are either recycled or come from sustainable sources. For many businesses and organisations it has become a key requirement when they are buying products and is more of a priority than the price. “As the weather improves this is certainly the case with outdoor furniture and we're continually introducing new products to our range that are all proving to be an immediate hit with our customers. 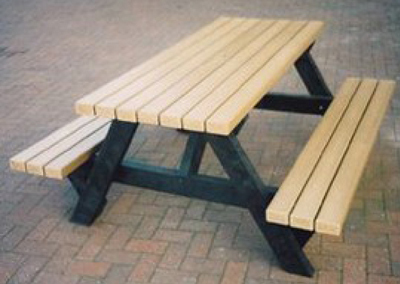 Picture: Standard picnic table – made from recycled polystyrene, which will not rot or corrode. Weather and chemical resistant. No paint or preservatives required. Will not splinter. Testo has made its full range of thermal imaging cameras more affordable. Testo has been developing and modifying the boundaries of infrared technology to create easy to use, robust, quality products with an industry standard feel and touch, but easy enough for an inexperienced hand to operate. Testo thermal imaging cameras are ideal for use in HVAC, industrial and building applications to highlight thermal anomalies and reduce costs. Viessmann, a leading international manufacturer of heating systems, is responding to market demand by focussing its presence at this month’s Greenbuild EXPO 2011 (June 29th/30th; Manchester Central) on biomass. 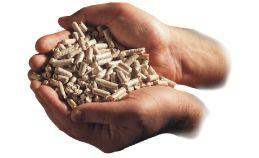 The company will exhibit in the Ignition section of the show (stand F31) following a surge of interest in biomass since the Renewable Heat Incentive announcement in March. “Because we have products for all traditional and renewable fuel types and applications, we can be trusted to provide a fuel-neutral perspective in what can be a minefield of competing information,” said Peter Frost, managing director of Viessmann. 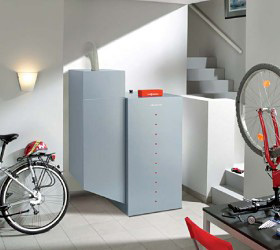 “We look forward to talking to installers and end-users through the opportunities and considerations associated with biomass and other renewable heating options.” Viessmann will display its Vitoligno boiler (from the company’s 4 kW to 1,250 kW biomass range) in addition to a Vitocal ground source heat pump. Staff will be able to answer questions on any of the company’s broad technology line-up. The Soprasolar photovoltaic range from Flag-Soprema offers a choice of flexible or rigid PV options. 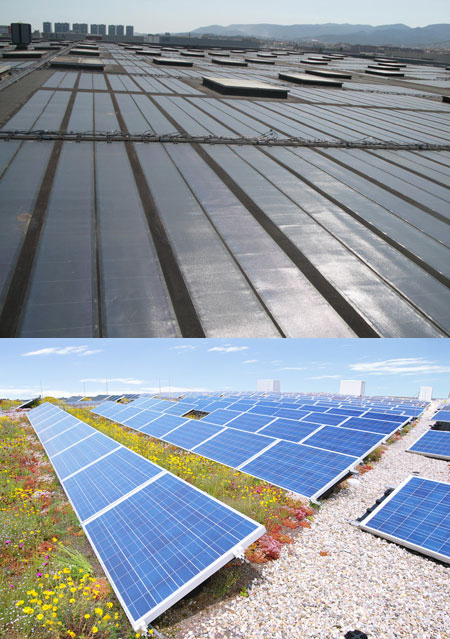 By combining PV and waterproofing technology, Soprasolar Duo provides a lightweight, flexible waterproofing membrane, the surface of which contains interconnected photovoltaic cells. As a waterproofing membrane, it enables flat roofs of low structural capacity to be used for solar power generation. The manufacturing process was developed in partnership with Uni-Solar, a worldwide specialist in flexible cell technology. The cells of Soprasolar Duo are bonded to a high performance SBS bitumen cap sheet. Their light weight enables a greater overall roof area to be used and as the membrane lays flat, the cells are unobtrusive and create no shadows. The system includes all the necessary elements such as inverters, monitoring software and optional weather station and can be used for pitches of up to 5°. Soprasolar Fix, by contrast, uses frame-mounted, rigid photovoltaic modules which do not penetrate the waterproofing layer. Cells contain no moving parts, so energy creation is silent and maintenance requirements are minimal. Optimum energy generation is guaranteed even in diffused sunlight or when panels are not fully clean. Flag-Soprema provides a fully underwritten 20-year warranty for both photovoltaic elements and membrane. 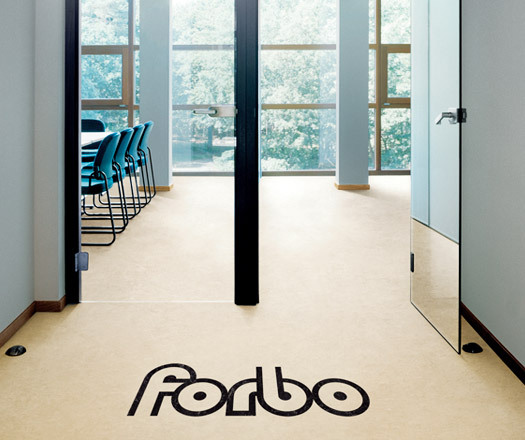 With the launch of its Flex Design collection Forbo has extended the potential for loose lay vinyl tiles in commercial office, retail and hospitality environments. At the same time, the new range provides an excellent environmental option as a result of its European manufacture, high recycled content and REACH (Registration Evaluation Authority and Restriction of Chemicals) compliance. Flex Design encompasses abstract and traditional woods, concrete, stone, sand and metallic woven designs. Highlights include Seagrass planks (100cm x 20cm) with their smooth grained linear design, inspired by wood but interpreted in a more abstract way, and metallic woven designs (50cm x 50cm) which offer a stylish softly textured effect in four different muted metal colours. The collection has been specifically designed to combine well with carpet tiles and LVT (luxury vinyl tile) ranges in Forbo’s portfolio and broadens the choice available for all environments requiring speed of installation or the practical benefits of modular flooring, for instance where access flooring is installed and in renovation projects. The combination of a glass fleece carrier and multiple calandered layers makes Flex Design unprecedented in strength, performance and quality. A top 1mm transparent wearlayer gives each tile superior strength, durability and clarity while the PUR Pearl lacquer delivers stain resistance, ease of maintenance and a natural matt appearance. Natural Building Technologies’ (NBT’s) ThermoPlan fired clay structural insulating blocks deliver excellent levels of both thermal and acoustic insulation without the need for a cavity or additional insulation materials, making them a ready-made solution to the Revised Building Regulations Part L requirement to take into account heat loss at party walls. A 425mm-thick block will deliver a U-value of only 0.20W/m2K, when finished with a breathable render externally and plaster internally. Providing a high degree of airtightness, which is also a key factor in reducing energy use, the blocks are fully ‘breathable’ to the passage of water vapour, which helps to maintain a healthy internal atmosphere and avoids problems of damp and condensation. Featuring a honeycomb cross-section, the blocks are manufactured using clays, mixed with small particles of waste cellulose. During a low temperature firing process the cellulose is burnt off to produce a strong, microporous structure, delivering the exceptional levels of insulation coupled with highly effective breathability. The manufacturing process, helped to a large degree by the low temperatures required for the firing stage, means that a wall built from the blocks has 30% less embodied energy and 50% less embodied carbon than a conventional cavity block wall, meeting the same thermal performance. 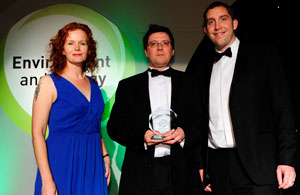 ThermoPlan blocks also carry a BREEAM Green Guide ‘A’ rating. 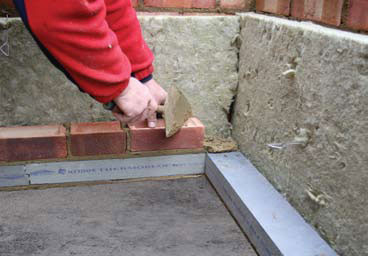 In construction, a true thin bed mortar, just 1mm thick, is used to secure rows of blocks, with interlocking dry vertical joints anchoring adjacent blocks along the row. The simplicity of the construction process enables ThermoPlan block walls to be typically constructed three to four times faster than conventional blockwork structures, with no limitation on the height that can be built in a day and no drying out shrinkage. The absence of a cavity eliminates the cold bridging associated with wall ties, and the ability to use one homogenous material simplifies design detailing at door and window openings and junctions. This in turn makes it easier to achieve good airtightness and minimise cold bridging at these openings/junctions and, importantly, to achieve theoretical design values in practice. ThermoPlan blocks also provide high levels of thermal mass to counter overheating in the summer months. Real-time monitoring and control of waste with Reconomy Portal helps reduce waste handling costs and achieve reductions in landfill. Reconomy has introduced Reconomy Portal, a 24/7 system providing users in any industry where waste streams are generated and need to be accounted for, with real-time control of their waste handling and disposal operations – waste cost, tonnage, segregation and diversion from landfill. Reconomy Portal is a real-time monitoring and management system for effective control of waste across all sectors of industry and commerce and makes an important contribution to achieving reductions in landfill. Via a secure, 24/7 internet connection, it provides users with relevant data to allow the most cost-effective and sustainable processes to be employed and monitored. Users logging on to the Reconomy Portal are presented with an intuitive dashboard which shows the type of waste stream, waste tonnage and how much of their waste has been diverted from landfill. Automated graphs give immediate access to supporting data, including relevant reports and figures, compliance certificates, carrier registration documents and environmental permits. An essential resource for collecting, sorting and holding an unlimited array of relevant waste management information, the Reconomy Portal provides both visibility and tracking of waste handling activities. An important benefit for construction and housebuilder companies for example, is the ability to see how many sites have a valid Site Waste Management Plan and, more importantly, how many do not. The level of detail available to individual users can be set to the customer’s requirements. For example, a company director can be given access to all sites currently in operation, whereas a regional manager may need to access just one or two. Further security is offered in the form of automatic lock-outs, whereby a user is automatically locked out of the system if he or she hasn’t logged on in any three-month period. This can be useful where an employee moves to a competitor and the administrator fails to update the system. Incorporated into the Reconomy Portal is a report scheduler which issues reminders to relevant parties when updates are needed. An online demonstration of Reconomy Portal is available at reconomy's website. 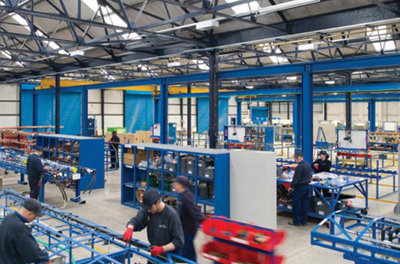 Balfour Beatty Engineering Services (BBES), provider of mechanical and electrical services, has officially opened its state-of-the-art off-site manufacturing and assembly facility – a facility that is set to offer new standards of M&E, safe and sustainable off-site practice in addition to cost and time savings. Branded ‘Modular Systems +’ the new 117,000ft2 manufacturing and assembly facility, located in Wednesbury, West Midlands, is the largest of its kind in the UK. Its focus is on the production of mechanical and electrical systems, including packaged plant rooms, corridor modules, service modules, riser modules, and modular electrical systems. In creating Modular Systems + BBES will be able to provide customers with substantial savings in terms of time and money. It will also offer a safer and more sustainable method of construction. 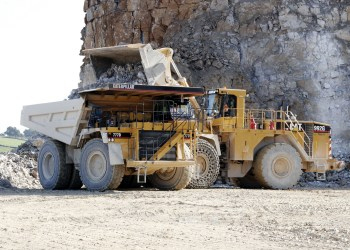 This will be achieved through the use of efficient off-site techniques which due to their nature, provides operatives with safer and more productive working conditions. The approach also minimises waste, reinforcing BBES’ position as promoting sustainability as a collective and inclusive responsibility, with the company working with customers, suppliers and communities to ensure that sustainability is embedded in every operation. “The Modular Systems + facility has been built to enable us to deliver our lean construction philosophy, reducing the number of hours needed on site, improving lead times and providing safer and more productive working environments,” said Bob Francis, director of Modular Systems + at BBES.